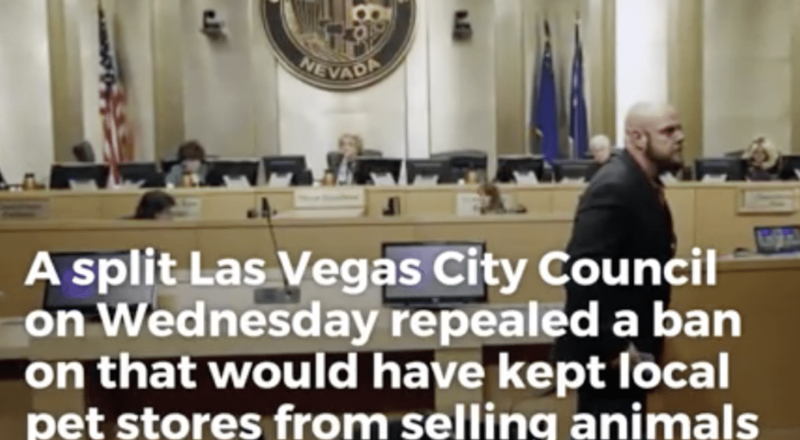 The Las Vegas City Council voted in November to repeal a ban that would have prevented pet stores from selling dogs, cats, and potbellied pigs that didn’t come from a rescue organization or animal care facility. In a vote of four to three, the repeal from City Council and the Las Vegas mayor came with assurances from city officials that they will work on new restrictions to crack down on inhumane breeders. They maintain the answer to eliminate puppy mills isn’t to prevent pet stores from selling dogs and cats. However, city officials offer no specifics on how they plan to achieve this goal of eliminating puppy mills. 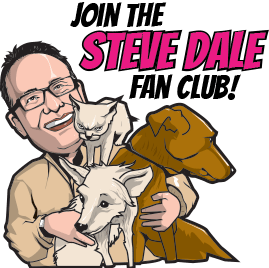 What seems clear is that all the dollars the pet store industry (Pet Industry Joint Advisory Council and American Pet Products Association), and the American Kennel Club (AKC) are spending is beginning to pay off. Why in the world would the AKC support the survival of puppy mills—industrial/commercial breeders—over home breeders? Clearly, the general public is increasingly horrified by the mills. But, even pet owners remain greatly unaware that dogs and cats sold at pet stores are sourced from millers, often through a complicated series of resellers, making it difficult to track. One thing is for sure: No responsible breeder ever sells to pet stores. Beginning with an organic movement, which started online several years ago, more than 200 cities in the U.S. and Canada have enacted pet store sales bans, including Austin, Chicago, Ft. Lauderdale, Los Angeles, Philadelphia, and San Diego, to name a few. The most recent city to be added to the list is Rahway, New Jersey. 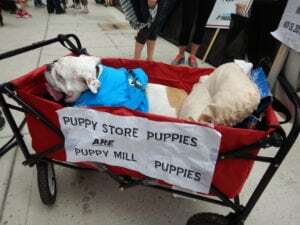 However, despite what pet owners and non-pet owners alike want, some communities remain resistant, contending as a defense they don’t want to close down small retailers, or, like in Las Vegas, they can do “other things” to prevent puppy mill sales. But no one knows what these “other things” are. Of course, no one wants to close down retailers. Truth is, most pet stores don’t sell dogs or cats in the first place. The most significant players among pet stores are the big boxes: Petsmart, Petco, and Pet Supplies Plus, and none of them have ever sold dogs or cats. The majority of smaller independent stores want nothing to do with selling dogs or cats. The pet store industry is pandering to a handful of large players with large dollars to subsidize the efforts to fight the proposed bans. And if the bans overnight don’t close down puppy mills, that’s not the point. The point is to not support the millers. Someone has to defend the dogs and cats. Two cities in Illinois have struggled to get legislation through because of push (and dollars) from the AKC and pet store industry, even though the public overwhelmingly supports the legislation. 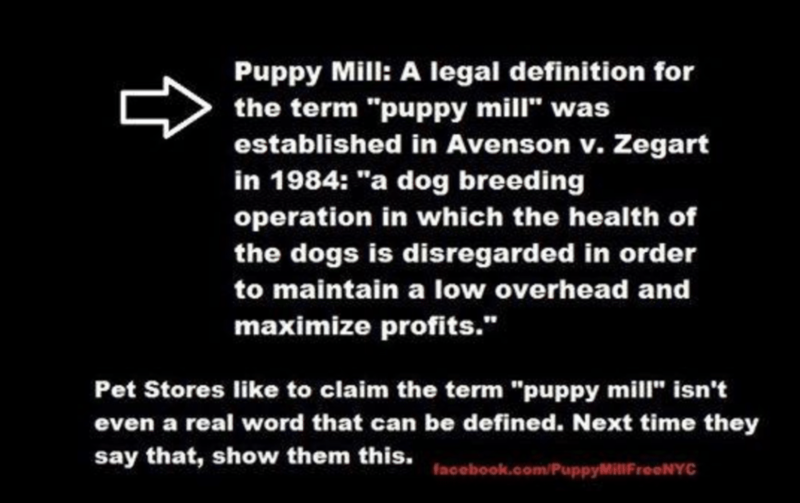 Interesting that they put “puppy mills” in quotes, implying they are not real or that there is no definition of millers (a very old argument). No matter, once again, no responsible breeder ever sells to to a pet store. Two issues with that: First, due to the lack of transparency in President Trump’s administration, there’s no way to currently (for the most part) go onto the USDA website and verify that a specific facility has been inspected or not, and this is supposed to be public information. The school lunch program for children is obviously unrelated to animal welfare inspections, and the school lunches are not inspected in schools by officials. At Dog Patch Pet and Feed in Naperville, Illinois, animals are adopted, rather than sold. This store demonstrates that the pet adoption model can and does work. 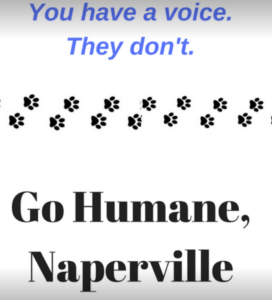 In Naperville, an organized group called Go Humane, Naperville represents the voice of the community, but the seemingly obvious issue of not allowing pet stores to sell animals from inhumane sources has become a political hotbed in the community. 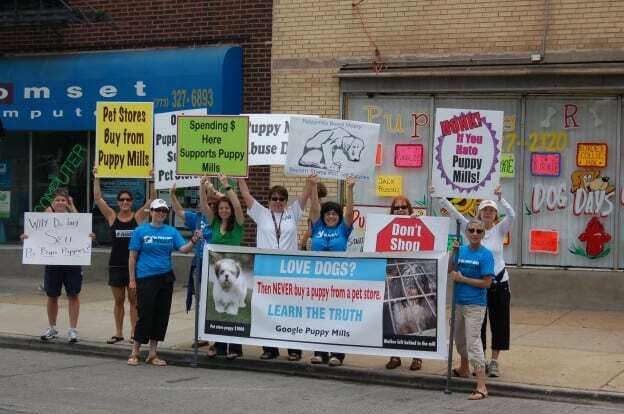 The City Council in Joliet, Illinois, heard well thought out testimony from animal advocates and experts for many months before they voted last month overwhelmingly—7 to 1—to not outrightly prohibit the sales of dogs and cats at pet stores. The grassroots movement had strong support from Joliet City Councilwoman Jan Quillman. And, despite compiling pages of testimony, one observer wondered if all the research was even read by other council members, who seemingly had little defense for their votes. There were two different resolutions on the council’s plate: Version A and Version B. According to a council memo, Version A basically mirrored legislation previously adopted in nearby Chicago and about 200 other communities around the country. It simply prevented pet stores from selling dogs or cats (although adopting animals from legitimate rescues and animal shelters is encouraged). 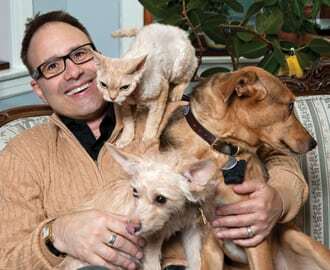 Version B, which was adopted, bans the existence of so-called puppy mills, and it bans unlicensed dog and cat breeders. 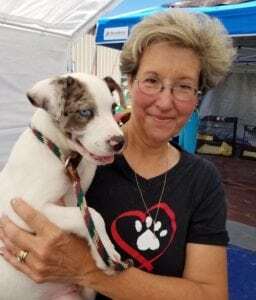 “In very basic terms, it requires pet stores to only obtain dogs from a USDA licensed breeder, a humane society or rescue, or a hobby breeder who is not required to be licensed by the USDA,” the ordinance stated. The problem with Version B is that no breeder in America is licensed, per se. 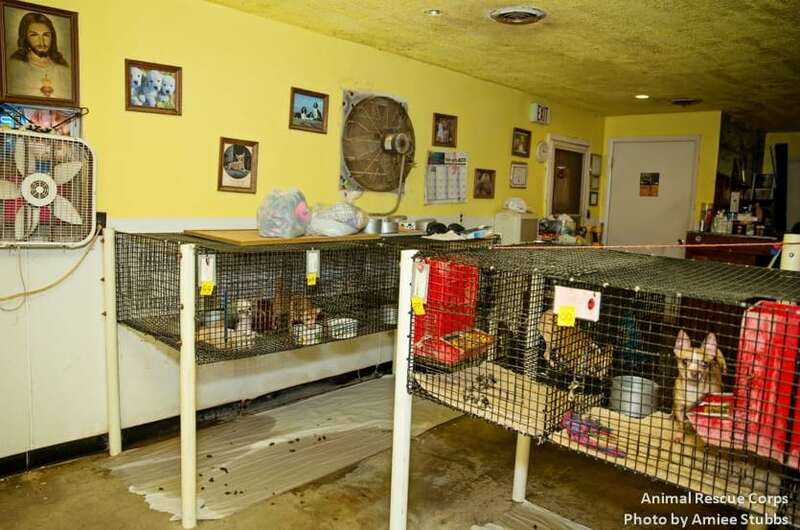 Puppy mills are already banned by federal law, but they are still thriving. Information about USDA inspections is difficult to track down (because the USDA, as described, has limited the information to the public regarding any inspections or reports), and, because of USDA staffing, they simply don’t inspect facilities as frequently as needed. Morgan Drdak, founder of Safe Pets for Joliet worked hard to educate council members. She adds, “The most disturbing part of the decision was that it didn’t come as a surprise—not because the Council had indicated that they disagreed with us, but because they just didn’t seem to care. Can legislation to limit pet store sales instantly make puppy mills go away? No. That’s not happening anytime soon. 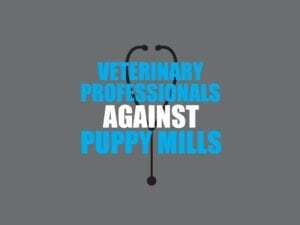 But, the legislation limits where puppy millers and their brokers can deal and also enhances public awareness. And by doing this, at least some lives may be saved. 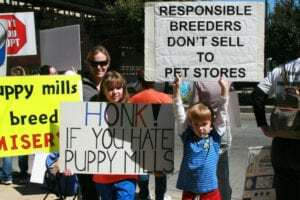 The reality is that puppy millers have learned to effectively sell online and even mask themselves as legit rescues, sometimes selling designer dogs for large dollars. And, with big dollars from the AKC and the pet store industry supporting their efforts, the challenge is clear. By supporting large-scale operations, the AKC is punishing small-scale, responsible breeders, usually breeding out of their homes. No wonder such operators are experiencing problems even surviving. While some dogs or cats sold at pet stores may be medically and even behaviorally sound, consider the conditions their mothers or fathers live in. We’ve all seen images. Puppy mills aren’t made up. No one wants to see small businesses close their doors, but there are many examples of pet stores that once sold dogs and cats that are now adopting them, or just not dealing with live animals at all, and they survive. Their biggest problem is from online competition, not the ability to sell live animals. It’s a handful of larger chains that sell dogs and cats, often at shopping mall stores, that are thriving because the public continues to buy them. * If your community allows pet store sales of dogs and cats, talk with the Puppy Mill Project about enacting laws to prohibit that. *Share stories like this to enhance awareness. *Though you may “feel sorry” for puppies and kittens sold in stores, don’t buy them. Buying only increases their bottom lines. *Join the nonprofit Facebook page Veterinary Professionals Against Puppy Mills (there is no cost currently to do so), which the National Association of Veterinary Technicians in America supports, and tell your veterinary professionals to like the Facebook page, too.